We have 154 adventure games in our database that start with the P. If you're looking for a specific game, try using our adventure game search page. You're currently on page 1 (of 13). P·O·L·L·E·N is a first-person, alternate reality exploration game set on Titan, the sixth and largest moon of Saturn and the only moon in the solar system with an atmosphere and vast liquid seas, where life may exist. Sudesh Budkoti managed to recovering the magic book Pahelika in his last last adventure, but in doing so he inadvertently freed an ancient evil which now threatens the entire world. 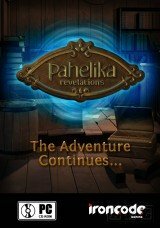 Pahelika puts players in the first-person shoes of an adventurer who discovers a magical artifact while tidying the storeroom of his ancestral home. Janet, a young and upcoming journalist, has been asked by her editor to investigate a four-year-old murder case and the mysterious abandonment of a once-lively town. 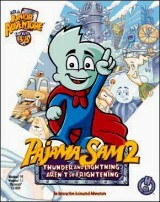 Join Pajama Sam, the world's youngest superhero, as he journeys to World Wide Weather, the storm-stirring factory in the sky. 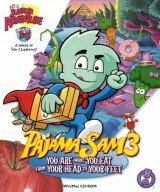 Pajama Sam chases down some snickering cookies, only to find himself in the midst of a food squabble! 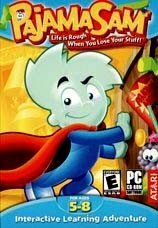 Now, it?s your turn to spring into action to help Pajama Sam find the missing delegates, put a stop to the sticky quarrels, bring peace to MopTop Island, and still make it home in time for dinner. Sam’s bedroom is a mess! Lost among the piles of clothes and toys is his prized comic book. There's no reason to be afraid of the dark, as Sam's about to find out. 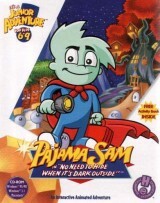 Fed up with his fear of the dark, Sam transforms himself into Pajama Sam, the world's youngest superhero, and resolves to confront Darkness. Pamali is an Indonesian folklore horror game where choices are a crucial element in defining the journey you’ll get. The gravekeeper Cecep is given a responsibility to take part in a burial process. Set against a backdrop of soothing ambient sounds, your task is to fix your downed spaceship and begin the pilgrimage home. Panchito Chepas is a seemingly innocent character who has just arrived in a godforsaken town.